Darrin kirkland Jr. | Clarksville Sports Network - Clarksville Tennessee's most trusted source for sports, including Austin Peay State University. 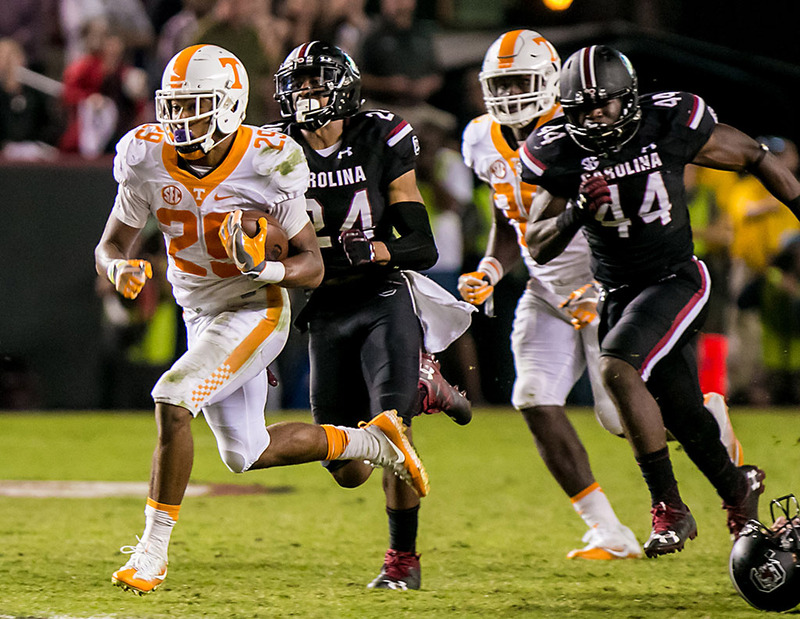 COLUMBIA, SC – Tennessee fell to South Carolina on Saturday night as the Gamecocks rallied to take a late, 27-24 lead at Williams-Brice Stadium. 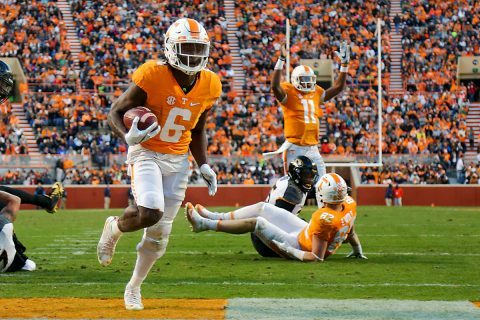 With the loss, Tennessee holds a 3-5 (1-4 SEC) record while the Gamecocks move to 4-3 (3-3 SEC). 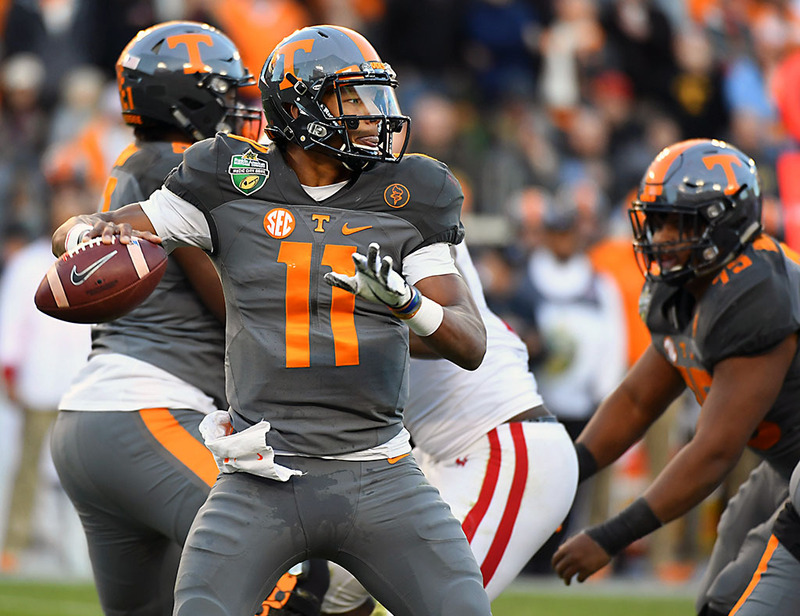 The Vols were led offensively by redshirt sophomore quarterback Jarrett Guarantano who completed 27-of-39 passes for 207 yards and two touchdowns. 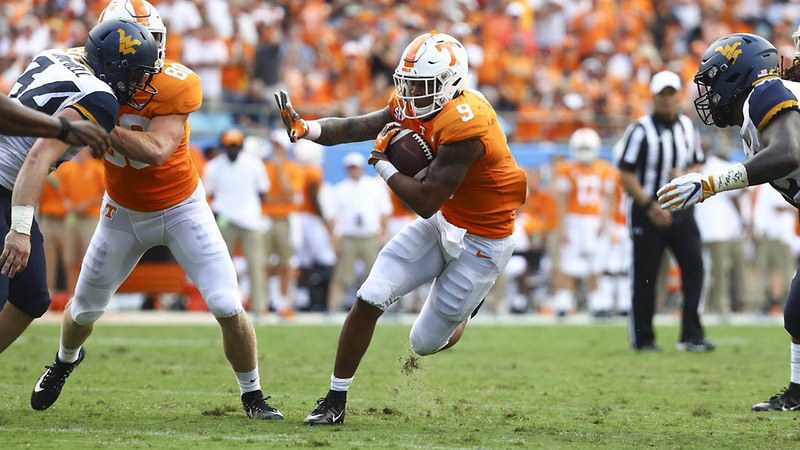 Sophomore running back Tim Jordan led the ground attack with 12 attempts for 62 yards while junior wide receiver Marquez Callaway had nine receptions for 86 yards to lead the receiving corps. Knoxville, TN – Jeremy Pruitt earned his first win as a collegiate head coach in dominant fashion as the Tennessee Volunteers defeated in-state foe East Tennessee State 59-3 Saturday evening at Neyland Stadium. 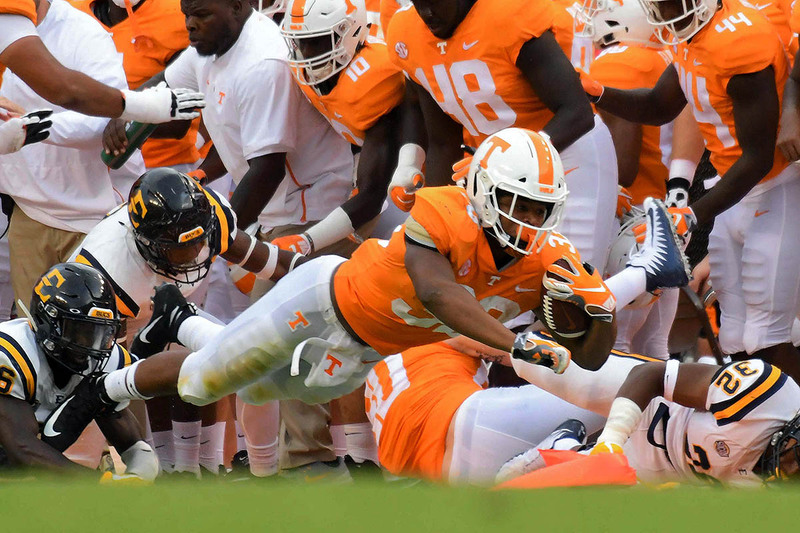 Charlotte, NC – Tennessee Vols Football fell to No. 17 West Virginia, 40-14, to open the 2018 season Saturday in the Belk College Kickoff at Bank of America Stadium. The Volunteers now turn their focus to next Saturday’s home-opener against ETSU. 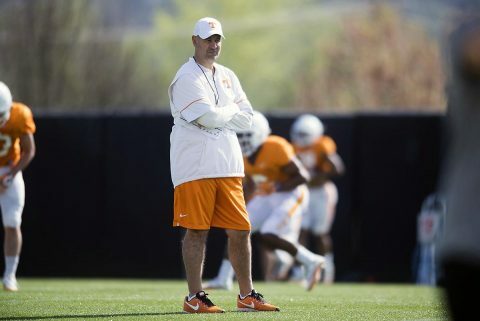 Kickoff for that contest—which marks first-year UT head coach Jeremy Pruitt‘s Neyland Stadium debut—is set for 3:00pm CT (SEC Network). All-American West Virginia quarterback Will Grier led a high-powered Mountaineers offense that came to life in the second half—scoring 27 points over the final 30 minutes. Grier finished the game having completed 25 of 34 passes for 429 yards and five touchdowns. Knoxville, TN – In his final game at Neyland Stadium, senior quarterback Joshua Dobbs accounted for five touchdowns to lead the Tennessee Volunteers to a 63-37 victory over the Missouri Tigers on Saturday. Dobbs passed for 223 yards and three touchdowns on Senior Day. He rushed for two more scores — including a career-long 70-yard breakaway touchdown gallop down the Missouri sideline — to finish with a career-best 413 total yards. Columbia, SC – South Carolina played turnover-free football in front of a feverish home crowd while handing 18th-ranked Tennessee a 24-21 loss Saturday night at Williams-Brice Stadium. 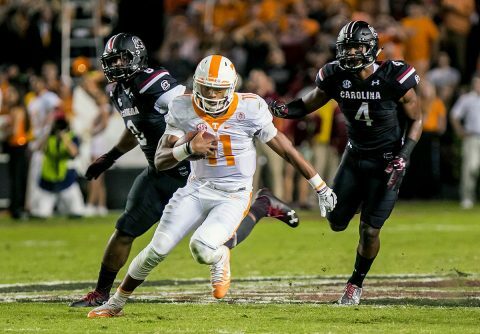 The Volunteers (5-3, 2-3 SEC) committed three costly turnovers while absorbing their third straight loss. 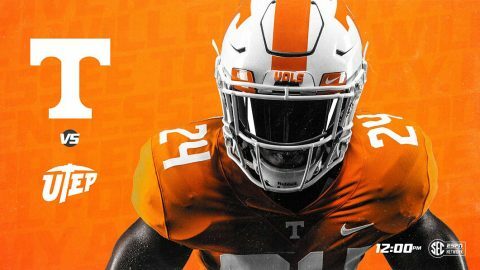 The Vols return home to Neyland Stadium next weekend when they host Tennessee Tech for homecoming. Kickoff is set for 4:00pm ET on the SEC Network alternate channel. A limited number of tickets remain and can be purchased by visiting AllVols.com or calling 1.800.332.8657. Knoxville, TN – No. 9/11 Tennessee fell to No. 1/1 Alabama 49-10 on Saturday at Neyland Stadium. Alabama jumped out to a 14-0 lead, but Tennessee (5-2, 2-2 SEC) pulled within seven in the second quarter after forcing a turnover in Crimson Tide territory. 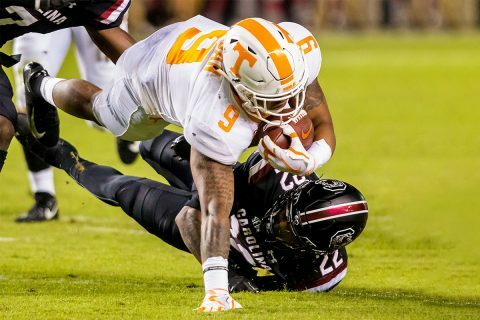 Derek Barnett got around the edge and forced a fumble by quarterback Jalen Hurts. 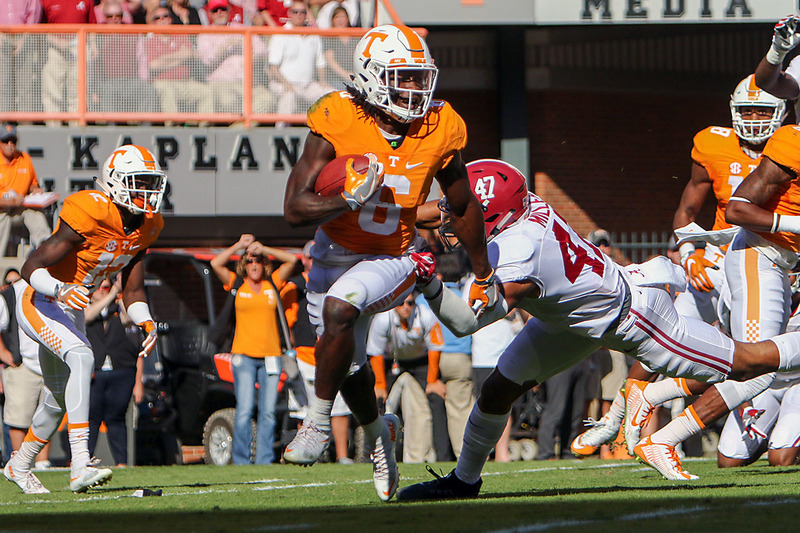 Quay Picou recovered the ball to set the Vols up at Alabama’s 11-yard line. Two plays later, Alvin Kamara rushed seven yards up the middle on a read-option play to bring the score to 14-7.